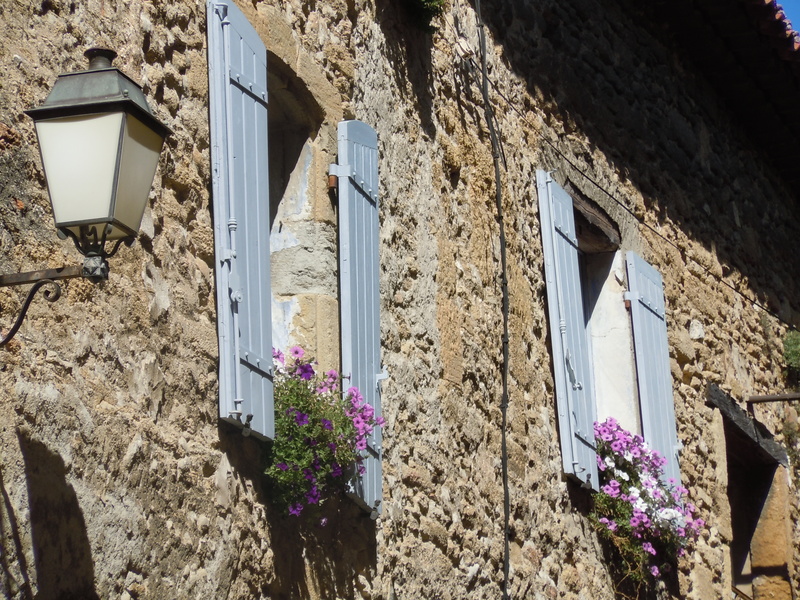 The premiere wines of Provence come from this little town, which is in itself a gem, a central fountain, winding streets up the hills, and many wine caves for tasting the wares of the different vineyards. We spent a lovely afternoon there after a morning in Avignon. 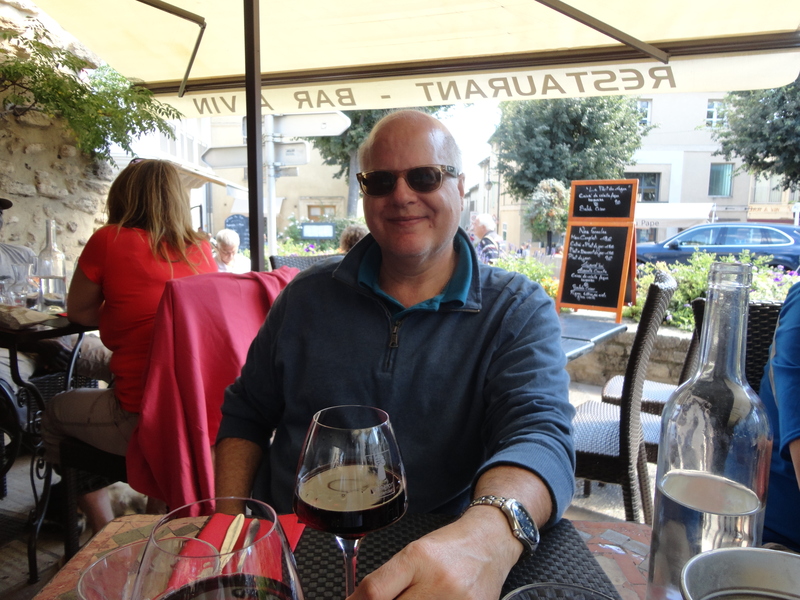 We had lunch at an outdoor café and then explored the town, walking up the hill to the church and then back down again to buy some wine. 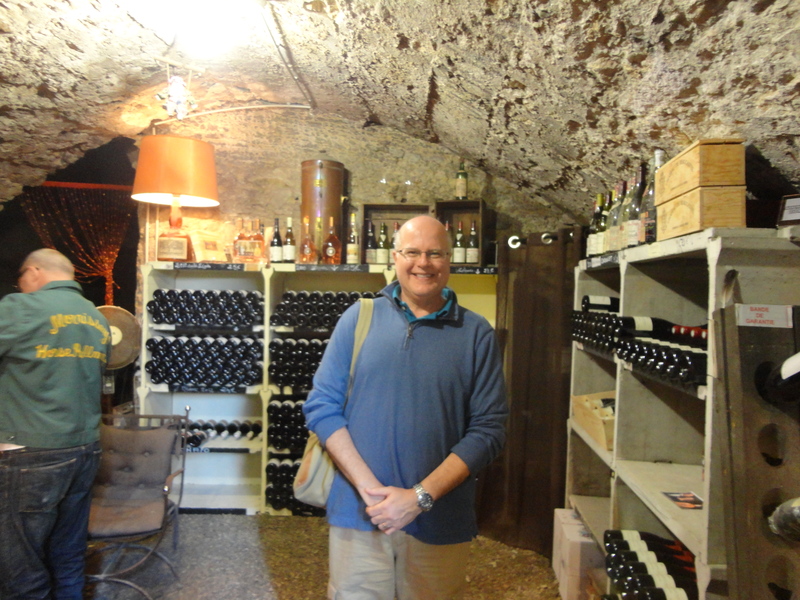 We came away with five precious bottles – three to be given as gifts to our hosts, and two to come home with us. If you’ve never been to France let me tell you there is no such thing as a bad bottle of wine. Even the cheap €3 bottle we bought for a picnic was far superior to anything we can get in the US. 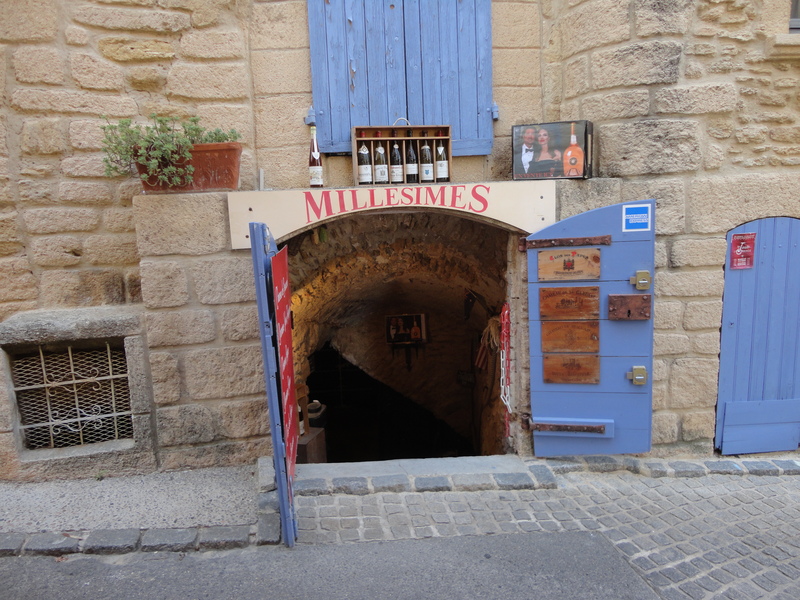 Wine tastings are available in these wine caves all along the main street. You can see the picture on the left of Brad Pitt and Angelina Jolie–their most famous visitors. You can’t really see him, but the man we bought from was a dead ringer for Elvis Costello. 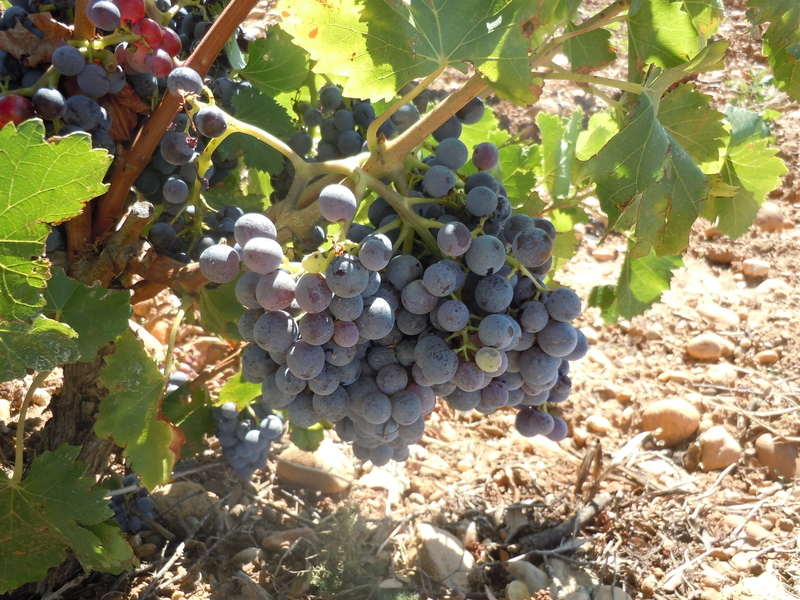 Charming and great wine? Yes, please. The plane tickets were purchased on Friday. 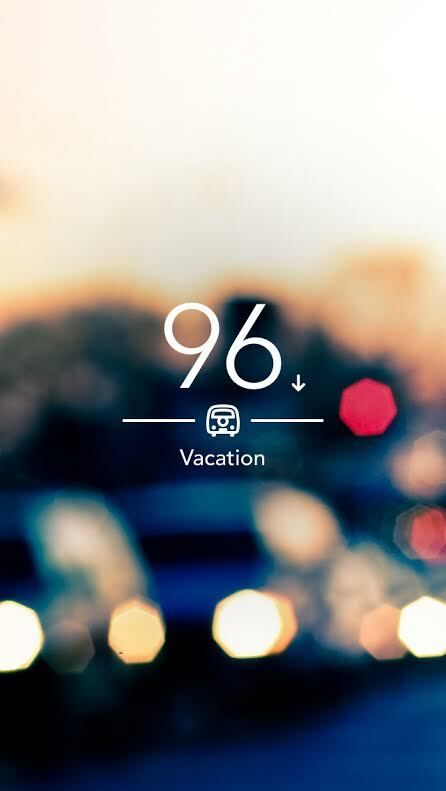 We leave in 96 days. Leave from Miami on Saturday, July 2. Arrive in Paris in Sunday, July 3. Take the train to Nantes or La Roche sur Yon and meet up with one of my besties, Danielle and her family. Hang out on the west coast of France for five days, visit Puy du Fou, a French theme park, and definitely take an overnight trip to Mont St. Michel, which I have been dying to see for years. 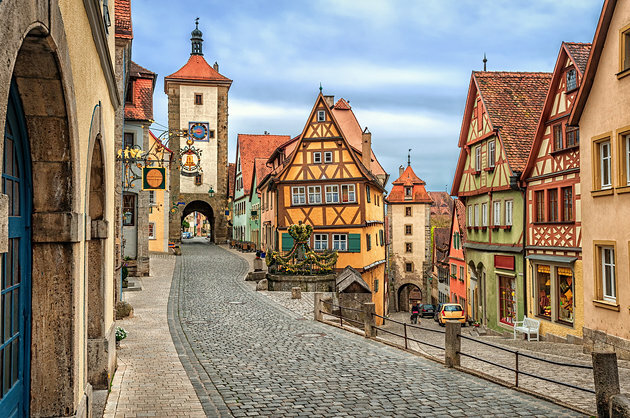 Spend four days driving through the picturesque towns and drinking lots of beer, see Rothenburg ab der Tauber, Neuschwanstein, Hohenwerfen, and lots of other amazing medieval sites. Arrive in Salzburg. Spend two days seeing the sights. Do my Maria von Trapp impression on the mountain top. Drive across Austria for a few days, taking in the splendor of the Alps. 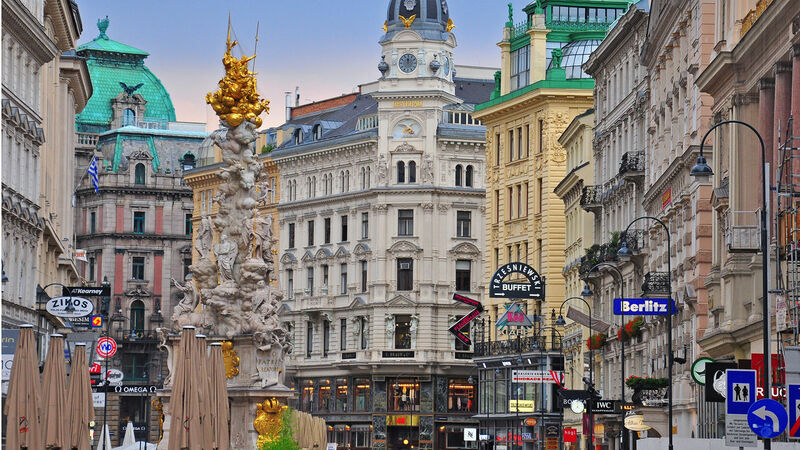 Arrive in Vienna, drop off rental car, and spend the last few days of vacation tramping about the city, seeing the legacies of so many famous composers, drink lots of coffee and eat lots of pastries. Fly back to Miami on July 22. Arrive home on July 23. Still have a good week to recover before going back to work. For some of that time in Bavaria, we are hoping that our French friends will join us on our travels. We have spent time together before and get along very well. It would be our second time traveling with another couple and we’re looking forward to it. I took two years of German in college and even though that was nearly (gasp!) twenty years ago, I still have some retention. 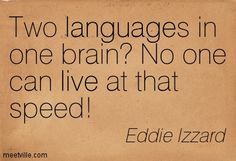 Even so, I am working on brushing up on my language skills in a few ways. The first is using Mango Languages. We have this online program through my library that I can use for free. It has two units of conversational German that I can go through. I also have a book, Learn German the fast and easy way that I will be slogging through. It’s all still in my brain somewhere, I just have to find it and reignite that fire in my brain. I have been toying with the idea of alternating German days with French days. Although in France I will have my personal interpreter, it never hurts to know a bit of the language where you are going. I’ve taken some French too and have three levels of Pimsleur French on CD that I can go through. But can my brain live at that speed? German and French are very different, and yet I wonder how badly they will jumble in my head if I try to do both. Well, I guess there is only one way to find out.